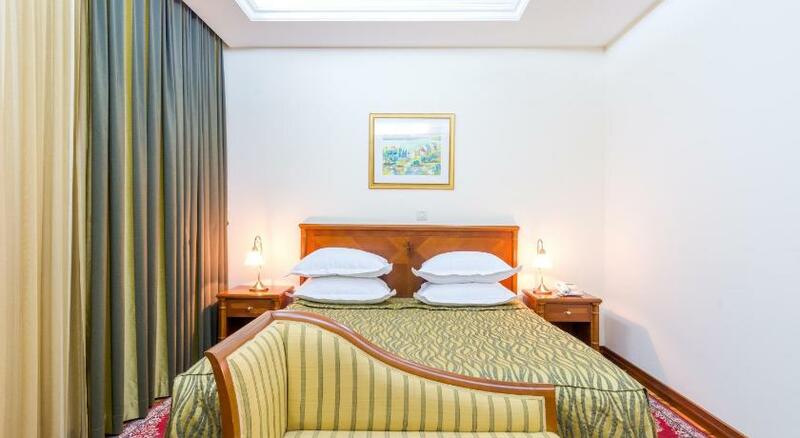 Located in Split's centre, at the foothills of Marjan Hill, this luxurious hotel features rooms with free Wi-Fi. Bacvice Beach is 5 minutes away by car.The rooms at the Hotel President Split are decorated with rich fabrics and wooden furniture. They have a spacious seating area with a sofa and flat-screen TV. The private bathrooms have marble walls and include slippers, a bathrobe and fragrant soaps and lotions.Guests of the President Split can enjoy Mediterranean and international cuisine at the restaurant, which offers a buffet menu and an extensive wine list. The bar serves refreshing drinks, as well as gourmet coffee.The hotel airport shuttle and a tour desk, where guests can arrange to visit local attractions.